What’s Poppin’ Tonight! #VanityTuesdays Each and Every Tuesday at IVY Nightclub ~ Phresh Hott New! Tonight! 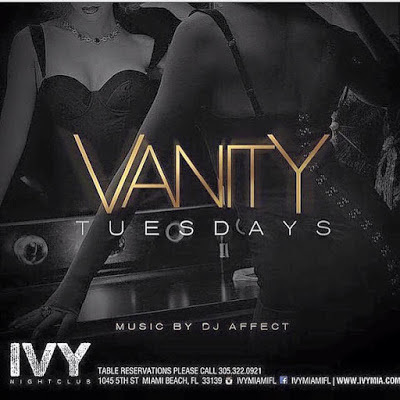 Experience “VANITY”, a new premium nightlife experience #VanityTuesdays Each and every Tuesday at IVY Nightclub. Sounds by DJ AFFECT rollin’ nothing but the best house, dub step, and top 100’s joints in a row + More!